The Winter of 2013-2014 was considered the most-brutal season in North America in over three decades. Even if you were a Winter enthusiast, as some folks are in cold-weather states. Sure it snowed alot, making the skiers happy, but at the same token, the frigid Polar Vortex episodes and constant days of below-zero temperatures made the usual outside Winter sports intolerable, not fun, and people chose to hunker down in their homes instead. Probably the only plus that kept people going through day after day of cold and snow, was the hope that alot of pesky insects might be killed off. The good news was the outside insect population diminished somewhat thanks to the Polar Vortex – this was good because of the onslaught of invasive insects that have damaged our trees recently, like the emerald ash borer and the Japanese beetle could not survive in temps below -20, despite burrowing their bodies way beneath the soil. So, entomologists, or people who study insects, noted that the ranks diminished as to many of the outside pests whose population exploded, especially during the unusually warm Winter of 2011-2012. 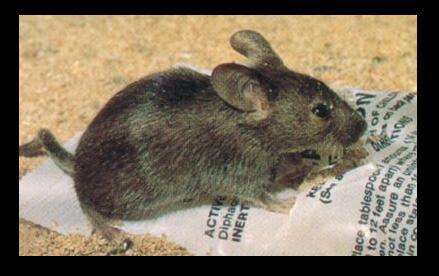 But, unfortunately, the interior home pest population remains about the same. Truthfully, you cannot blame an insect from seeking respite from the harsh weather – after all, you don’t like it out there! You’d like to think that the occasional creepy crawly that you see in your home during the warmer months, will just go and hibernate, like a bear, during the cold months, like you see in a cold-weather state like New Jersey. Unfortunately, however, that is wishful thinking. You might have had the misfortune of bringing a housefly on your clothing into the house or he or she sneaked through the storm door when you had it open. Further added to the misery of having one fly that you could not attack with a flyswatter or a rolled-up newspaper, that fly was pregnant and laid eggs. Oh… the misery of it all. Of course we know if you introduce a new dog or cat into your home, that a big “sniffing session” must occur immediately. Even if the other animal is deceased, or just in the room, while the new pet gets acclimated to the house that dog or cat is onto the scent of the other right away. Similarly, a housefly that darts into your home, and is “at large”, will smell the scent of its brethren who have visited your home in the past and that simple housefly will decide therefore you are a welcome “host” and this is a good place to stay. Even if insects multiply and gather in your basement in a cold-weather state, your basement, which may seem cold by your standards, is just perfect for your multi-legged or winged guests and they have no objections to living there. If insects enter your home en masse in the Fall and you start detecting them… i.e. more than just the occasional fly, centipede, spider or beetle, that is your cue to call an exterminator in Northern NJ as soon as possible to eradicate these pests posthaste. Ground beetles, Ladybird beetles, stink bugs (of which there is a large infestation lately) and even cluster flies, will multiply at the speed of sound and infiltrate your home. Perhaps you remember being outside as a kid and a Ladybird beetle, commonly called a “Ladybug”, alighted on your body or clothes and someone suggested you quickly make a wish and let it fly away so your wish would be granted. That’s fun, but not so fun, is if your children brings one of those bugs into the house to show you and it escapes and is flying in your house. Ladybird beetles multiply quickly and have been known to squeeze into tiny places and keep multiplying – one such, out-of-the way hidey hole for these flying, hard-shelled insects is behind your light switch plate. Box elder bugs are also insects which like to over-Winter at your home. If you have Maple trees or Box Elder trees on your property, you most likely have a breeding ground for the Box Elder bug. These pests are quite prevalent in homes in cold-weather states during the Winter. Their M.O. is that they like to cling to the side of your home’s bricks, and you most likely saw them there and didn’t bother to flick them off, thinking nothing of their presence. But these little winged pests are fond of squeezing into minute cracks or holes and accessing your home. The smaller cousin to the Box Elder bug is the Grass Bug – it looks similar to its counter-part, and is more than eager to hitch a ride on your shirt or a pant leg after you’ve cut the lawn in the Fall and soon thereafter, voila – you have a new pest problem in your home. Often plant-loving people put their houseplants or decorative trees outside as soon as the weather permits, believing they will thrive better with Mother’s Nature’s natural sunshine and rain. And, they often do… the problem, however, is that when you bring these plants or trees back into your home in the Fall, you should inspect the leaves very carefully to ensure no bugs are coming along for the ride. The Leaf-Footed Bug is happy to come on into the warm house and continue feeding on your plant as well as the rest of the houseplants in your home. If you do not take action and consult with or hire a contractor who is experienced in pest control, you risk the outcome of those pests breeding throughout the Winter. Once the weather warms up, those pests will attempt to leave the confines of your home and return outdoors. “Great” you say, but not so great is the fact that certain beetles, or ants – like Carpenter ants, will have spent the Winter months munching away on your house… wood structural areas, like in the basement, will all suffer the consequences of hungry household pests. Another popular reason why you might end up with beetles, of the “borer” variety (Long-Horned Wood Boring Beetle), is your penchant for a fire in your fireplace. You might have eschewed buying logs from a reputable fireplace wood dealer, and opted instead to gather firewood on your own. If you hauled home some firewood that was diseased, either by an insect, like a borer, to begin with, or that wood was infested after the tree died, once that firewood has been brought into your home, expect to find those little critters stray from the hearth and head straight throughout your abode. If pesky pests have invaded your home, do not spend your time, effort and money on products that will simply mask the problem, because – meanwhile those pests will multiply and make your life miserable. Why not seek the services of a professional exterminator, and evict and eradicate these household pests forever?